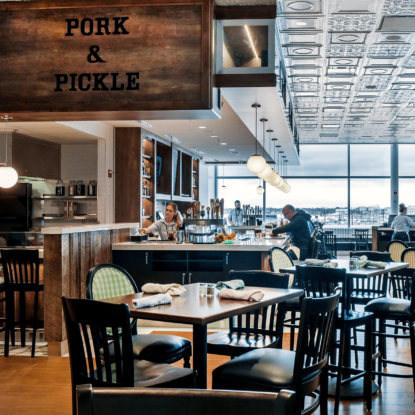 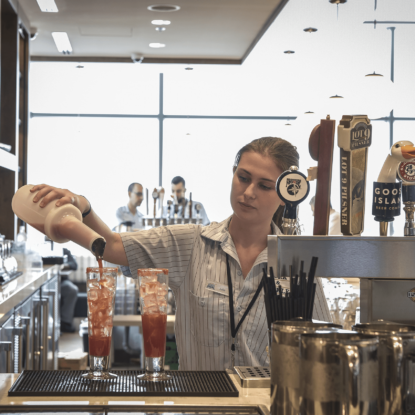 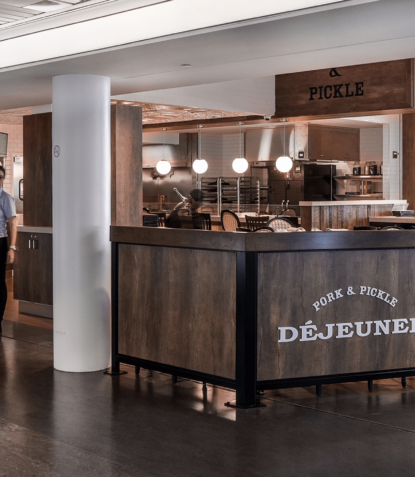 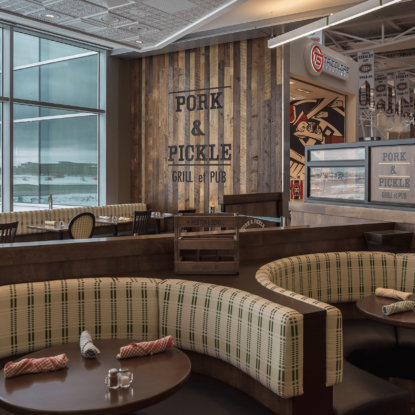 Pork & Pickle is a home-style concept located in the domestic jetty of the Pierre Trudeau International Airport. 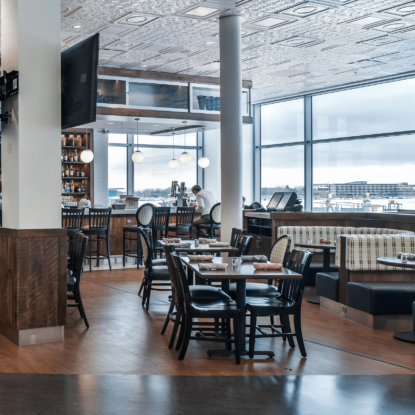 Situated in a prime location, this is one of a couple of restaurants that you can actually see as you approach the airport for your departing flight. 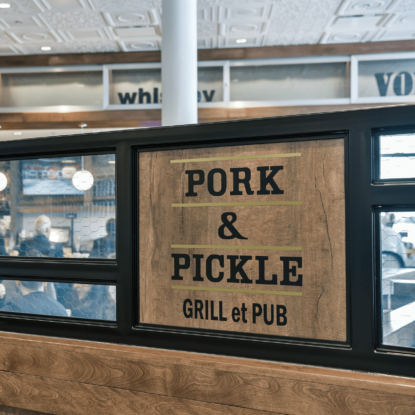 Once past security check points, passengers can dine on smoked brisket, Montreal style smoked meat, pork spare ribs, and other local “comfort” foods. 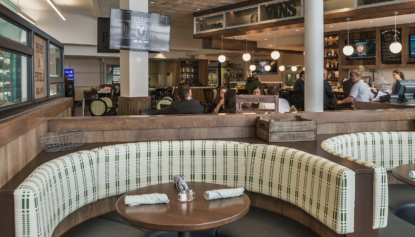 Dark stained wood elements, checker patterned linens, and tin ceiling tiles are a few of the finishes used to evoke the comfort of a home-style kitchen or local diner, suitably complimenting the food offerings. 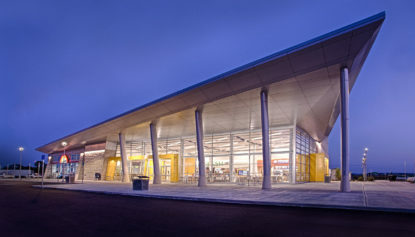 Additionally, the space features floor-to-ceiling windows for passengers to look out onto the tarmac while they are dining or enjoying a cocktail. 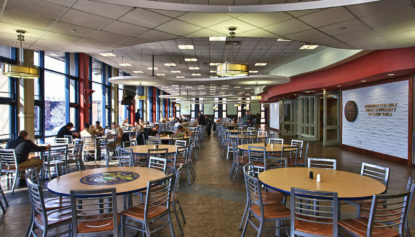 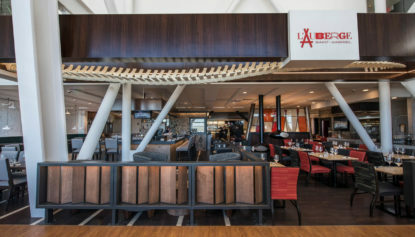 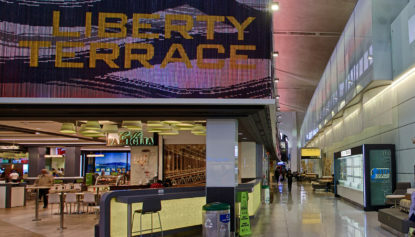 The overall space has created a unique new dining experience within the airports of recent dining upgrades.